Tamara McNulty is the Senior Counsel to the Federal Services Division of Black & Veatch, a global architecture, engineering and construction company. In 2010, she was named by Chambers USA as a top construction lawyer in the Washington DC area. 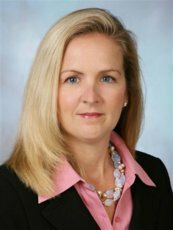 Ms. McNulty is a seasoned litigator with extensive experience in construction, government contract and procurement- related matters. She frequently advises clients during the consulting, design and construction phases of standard and sophisticated projects, including civil works and environmental programs; water, power and telecommunications infrastructure; aerospace facilities, defense facilities and global security. In addition to her industry experience, Ms. McNulty has extensive knowledge of green building and is a LEED Accredited Professional. Additionally, Ms. McNulty is experienced in mediations, arbitrations and other forms of alternative dispute resolution. She is a Neutral for the American Arbitration Association’s Construction Industry Panel. Ms. McNulty is accustomed to working with her clients from the onset of projects in order to avoid potential claims and disputes. She also regularly assists clients in drafting and negotiating complex contracts. Through her work as both a private firm lawyer and senior in-house counsel to the Federal Services Division of a multi-billion dollar architecture, engineering and construction company, she has extensive knowledge of and experience with the Federal Acquisition Regulations (FAR), Defense Federal Acquisition Regulation Supplement (DFARS), the American Recovery and Reinvestment Act (ARRA), the Code of Federal Regulations (CFR), the False Claims Act (FCA), the Freedom of Information Act (FOIA), the Anti- Kickback Act, the Buy American Act, the Miller Act, the Prompt Payment Act and the Truth In Negotiations Act (TINA). She also regularly counsels federal contractors on FAR business ethics, conduct codes and compliance; DCAA audits and investigations; cost allowability and the Cost Accounting Standards; Davis-Bacon Act compliance; subcontracting plans; best value procurement strategy; and debriefings. She has asserted numerous claims to various boards of contract appeals as well as the Court of Federal Claims, and she has defended bid protests at both the state and federal level. She received both her B.A. (1991) and J.D. (1995) from the University of Wisconsin at Madison. Ms. McNulty is a member of the bars of Wisconsin, Virginia, Maryland and the District of Columbia. Ms. McNulty is a member of the ABA’s Forum on Construction, the Public Contracts Law Section and the Tort, Trial and Insurance Practice Section. She is a member of the Virginia Bar Association's Construction Law Section and Litigation Section. Ms. McNulty is a member of the National Bond Claims Association. Ms. McNulty is a member of the Washington Building Congress, and serves on the Board of Directors of the WBC. She is former graduate of and teaches Advanced Trial Skills for the National Institute of Trial Advocacy. She is also a member of Phi Alpha Delta Legal Fraternity and Gamma Phi Beta Sorority. Ms. McNulty has authored several papers and lectured regarding various construction issues. Most notably, she authored the original version of this book MARYLAND CONSTRUCTION LAW, (HLK Communications, Inc. 2007) and VIRGINIA CONSTRUCTION LAW, (HLK Communications, Inc., 2005). Other works include: “President Obama Signs into Law the Fraud Enforcement Recovery Act,” May 27, 2009; “Congress Continues Its Efforts to Stem Perceived Fraudulent Activity in Federal Procurement,” April 2, 2009; "President Obama Issues Memorandum Directing Federal Procurement Reform," March 4, 2009; "Supreme Court Clarifies the Extent to Which the False Claims Act Applies," June 27, 2008 "Construction Contracts in Maryland," Lorman Education Services, March 2004 and March 2005. Her recent writings also include FEDERAL GOVERNMENT CONSTRUCTION CONTRACTS, Chap. 23 "Surety Bonds" (ABA, 2010); Sarbanes-Oxley: How It Will Affect Contractors and Sureties:" The Construction Lawyer, January 2003; "Construction Management/Design Build in Virginia," Lorman Education Services December 2002 and 2004; and A STATE BY STATE ANALYSIS OF LEGAL ISSUES AFFECTING ARCHITECTS, ENGINEERS, CONTRACTORS AND OWNERS (FROM A CONTRACTING AND CLAIMS PERSPECTIVE), Chap. 49 Virginia, (Aspen Publishing, Fall 2005).